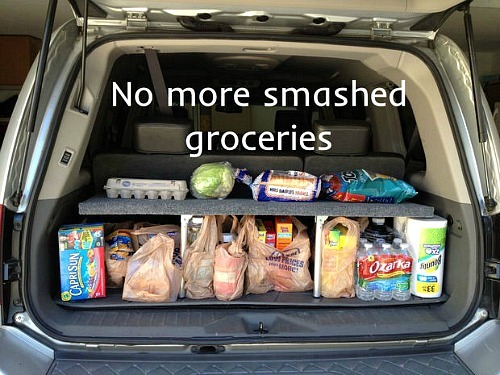 8 Clever Car Organization Ideas- Frugal Ways to Organize Your Car! Keeping a car organized isn’t easy. You pick up small things during your daily travels and have no where to put them! Or the kids leave behind toys and colored pencils. 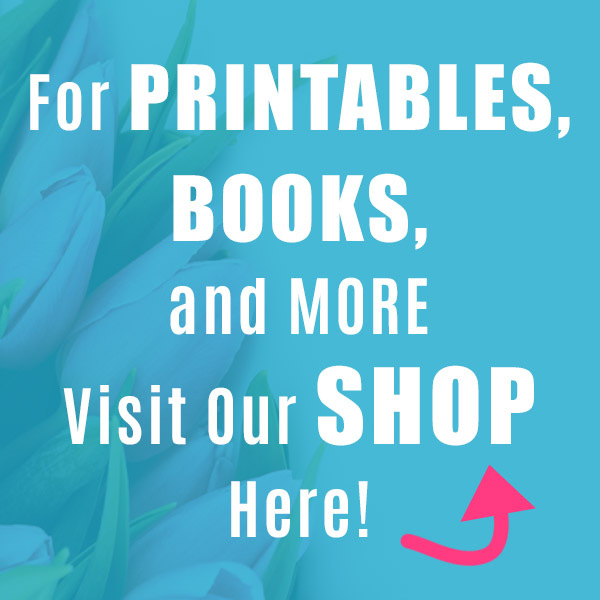 On top of that, there are a bunch of things you need to travel with for safety and comfort. Where do you put all of those without making a mess in the trunk? A lot of commercial vehicle organizers exist to help with these problems, but not all of them are inexpensive. 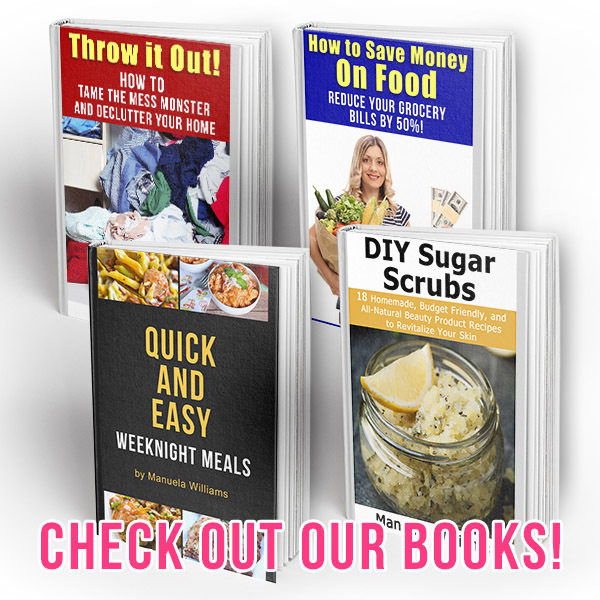 Since I believe there are frugal answers to most organizing problems, I went looking for ways to organize my car for little cost. 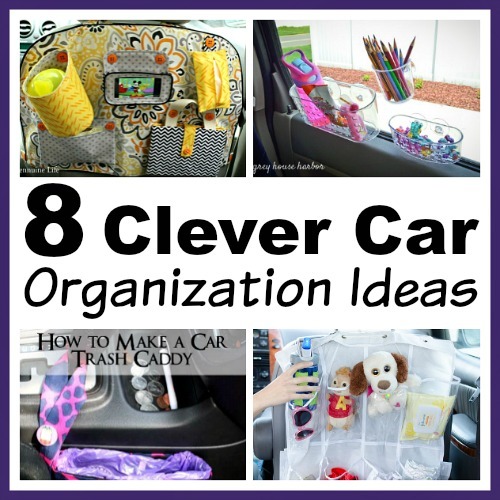 Take a look at the 8 Clever Car Organization Ideas I found! There are a good variety of car organization ideas below. Some require basic DIY skills. Other require sewing skills. 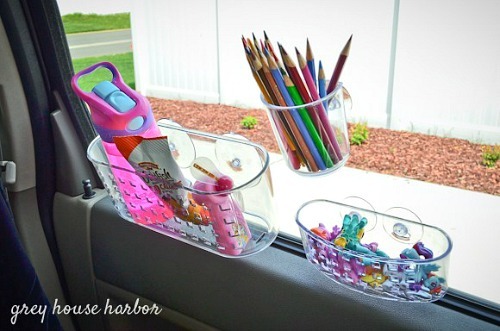 And others are simple products repurposed as car organizers. 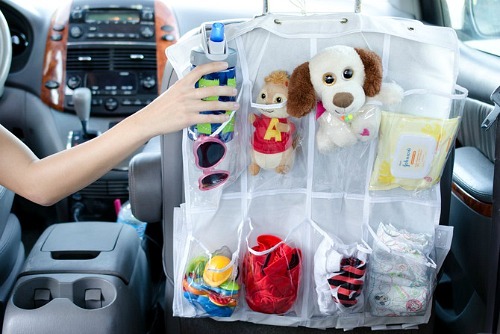 Whatever you need to organize in your car, these vehicle organizing ideas should help! Isn’t this clever? 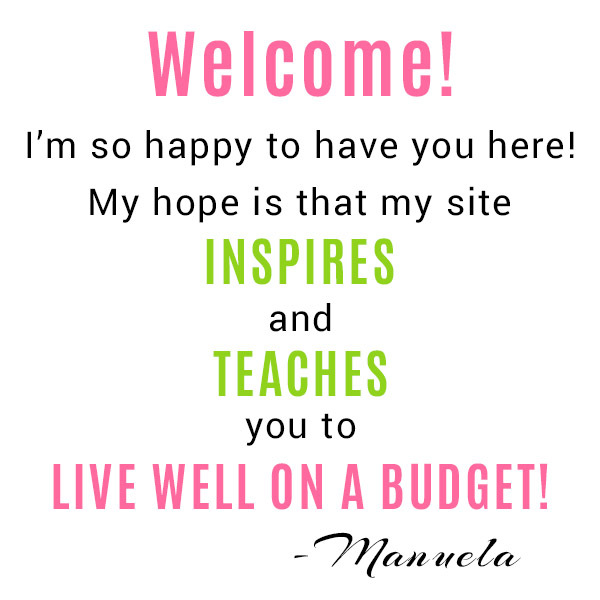 It’s such an inexpensive solution, but so effective! 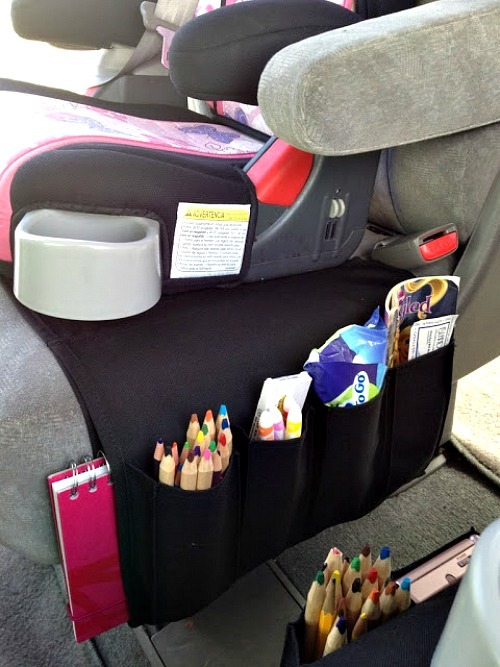 If you know how to sew, and have a kid that likes to draw in the car, then you have to try this car organization DIY project! 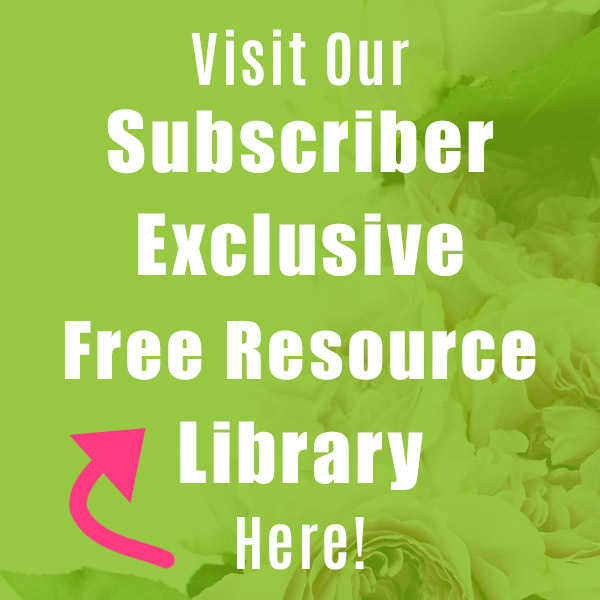 You could use any fabric that you like to really make it your own! The folio is the handy book shaped part in the lower right of the photo. 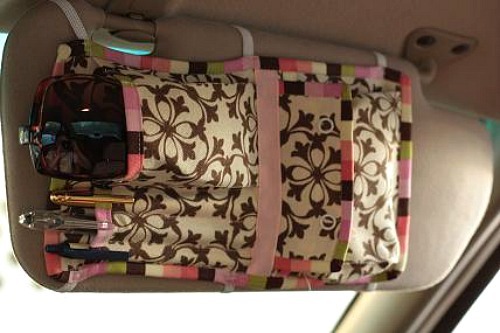 Don’t miss out on organizing the area behind your car’s visor! Doing a DIY project is always a great way to solve your problems without spending a lot of money. This handy DIY trunk shelf pops up when needed, then folds away! I love simple solutions like this! 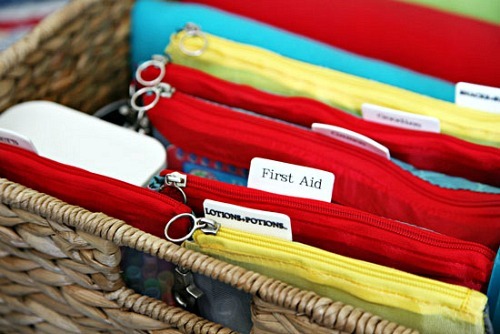 You can store anything in the pouches, from toys to sunblock and diapers! Never know where to put the little pieces of trash that accumulate during your daily travels? 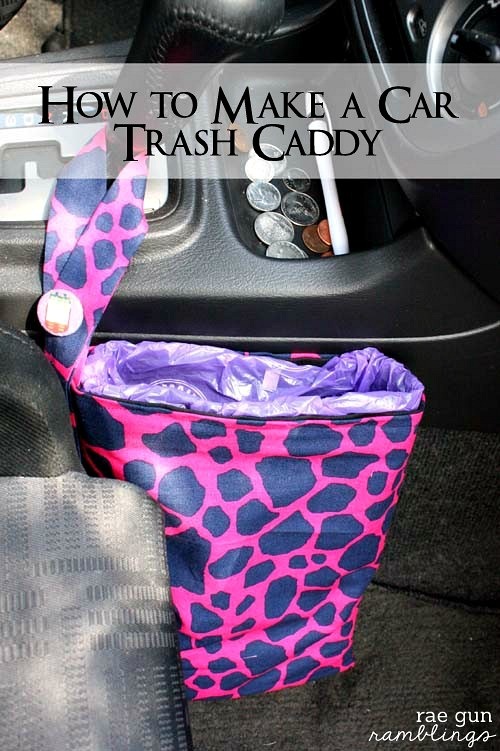 Then you need to make this DIY car trash bag! It’s amazing how versatile Ikea products are! Traveling with kids requires a bit of prep. 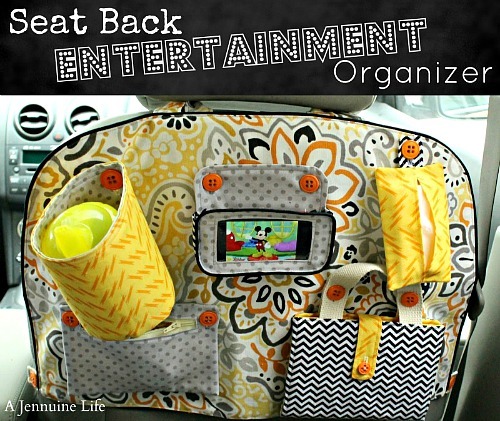 Make sure you’ll have everything you need (and have it nicely organized) by making this car kit! Very clever ideas. The suction cup one, although cool looking scAres me in case of an accident, we were in one last year and those dupes would’ve smashed into a Kids face and those supplies would’ve went flying and could’ve injured someone. Really changed my perspective on keeping the car organized and how important it is to not have things loose.